Purchase this and earn 18 Pawperks! 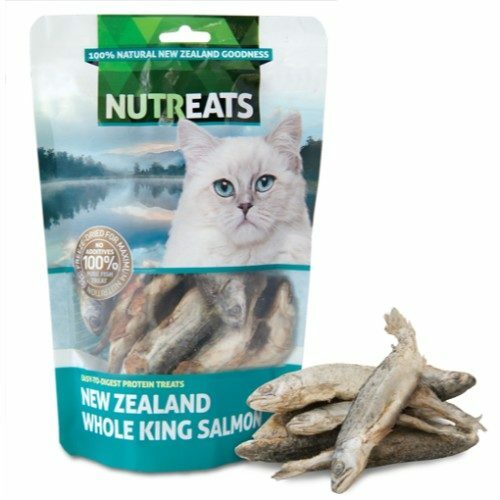 Your cat will love these whole king salmon, from the clear freshwater lakes of New Zealand. 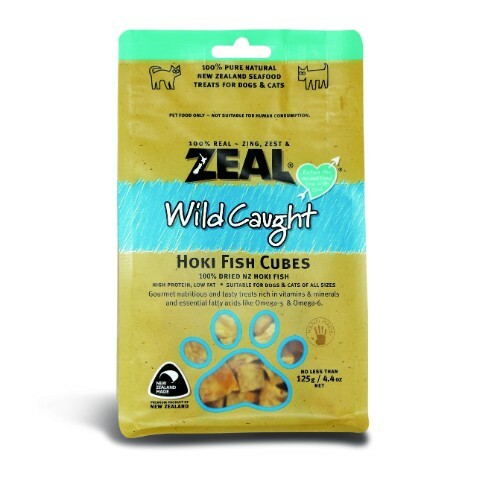 The fish are freeze-dried for maximum nutrition and popped into this resealable pouch. That’s it, pure and simple. Nothing artificial, no grain, no additives, colourings or preservatives. 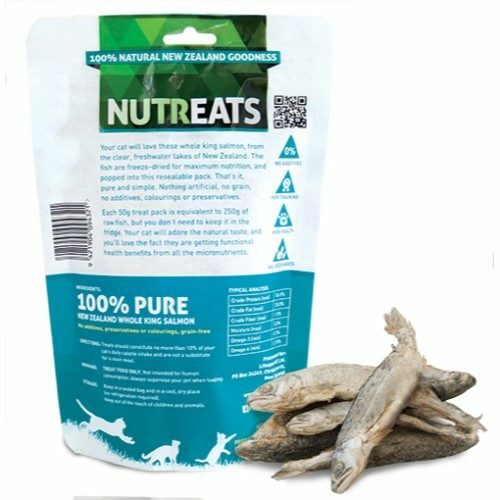 Each 50g treat pack is equivalent to 250g of raw fish, but you don’t need to keep it in the fridge. Your cat will adore the natural taste, and you’ll love the fact they are getting functional health benefits from all the micronutrients.